saw this on the 'sphere...using ulead, swf2xaml jeff and michael created 'silverlightvr 360,' showing an image of a jeep in virtual 3d. 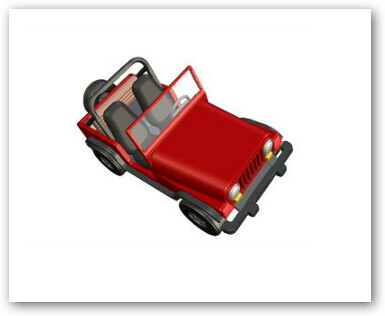 the user is able to move the image on along both axis points to look at the object (jeep) in a virtual 3d view. tools and directions are listed on their write-up here.